Graduate students are welcome to join all our programming, in addition to exclusive grad student programs and events. 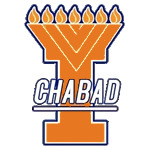 Join Jewish Professionals and Graduate Association - jGrads for monthly events. Additionally there are many events at the Law & Medical Schools. Sign up and we'll keep you updated on all that's going on!